Noah Leavitt was born and raised in New York City. He graduated from Columbia University with a BA in History and completed an MA in Jewish Philosophy at Yeshiva University. He studied in Israel at Yeshivat Darche Noam/Shapell’s and Yeshivat Torat Yosef Hamivtar. 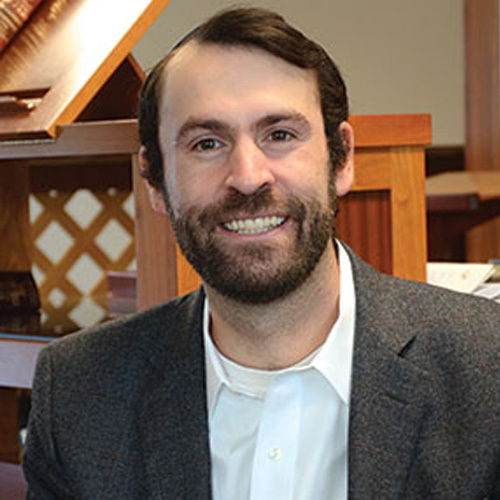 Noah served as the editor for Milin Havivin, YCT’s Torah journal. As a Tikvah Rabbinical Fellow, he took part in a seminar on Jews and the American Ethos to advance rabbinic involvement in American political discourse. Noah was the rabbinic intern at The Jewish Center in Manhattan, he also served as the Rabbi of Congregation Netivot Shalom in Baltimore and as the Campus Rabbi at Towson University. Most recently, before coming to Oheb Zedek Ceder Sinai, Noah served as the Assistant Rabbi of Congregation Orach Chaim in New York.